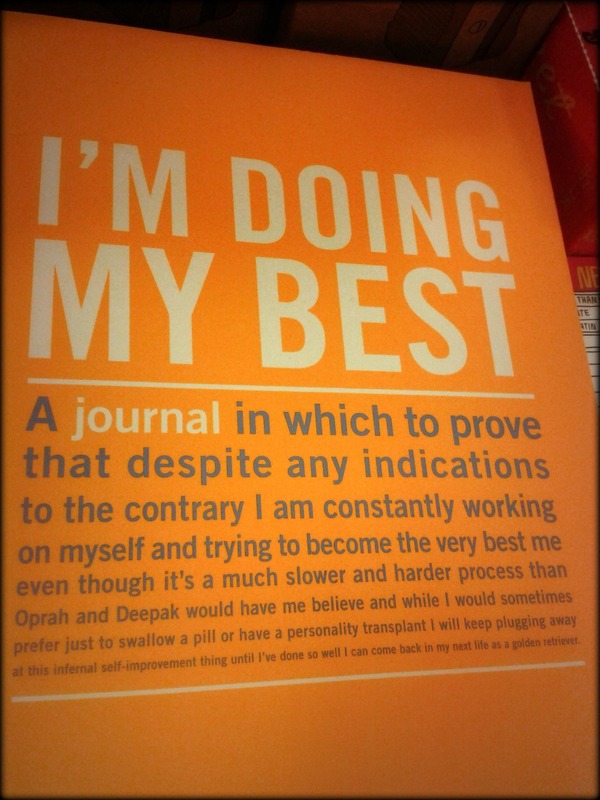 One of those life philosophy/human condition themed journals you find in the non-book merchandise section of Barnes and Noble. Shallow as it might be, it still tickled my study-numbed funny bone. I’ll be back with a proper blog post soon, I pinky swear.